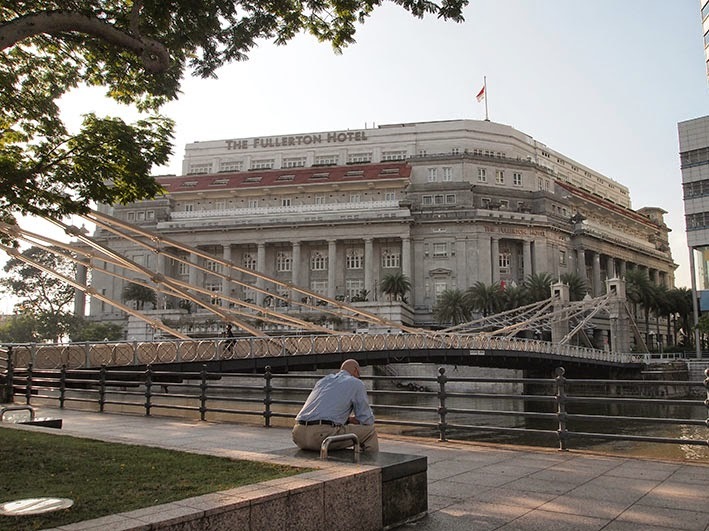 Although I sketched the Fullerton hotel a few months ago, I thought I'd give it another go in the early hours of the public holiday morning. 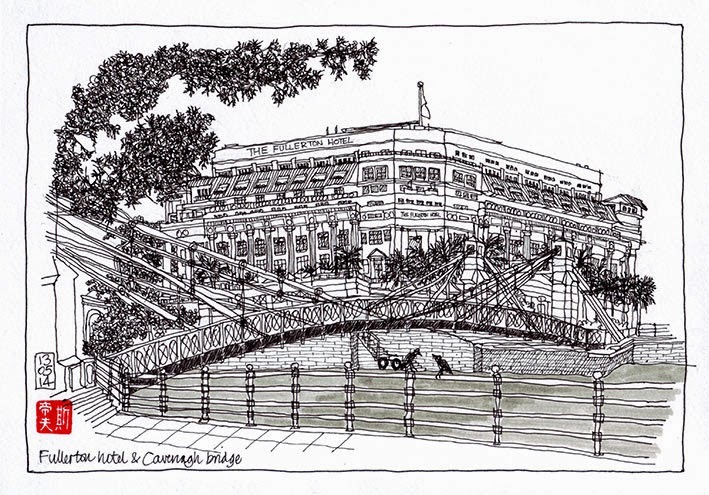 I almost abandoned the doodle after drawing one of the cable-stays in the wrong place, but I bravely soldiered on. So much for loosening up. Not sure if I like this one, but the trees were satisfying. Thanks - one day I'll be brave enough to add some people!